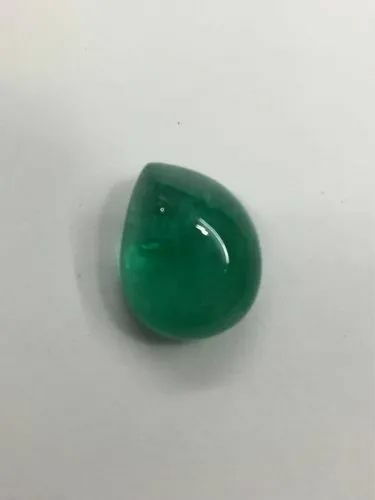 Emerald is a gemstone and a variety of the mineral beryl(Be3Al2(SiO3)6) colored green by trace amounts of chromium and sometimes vanadium. 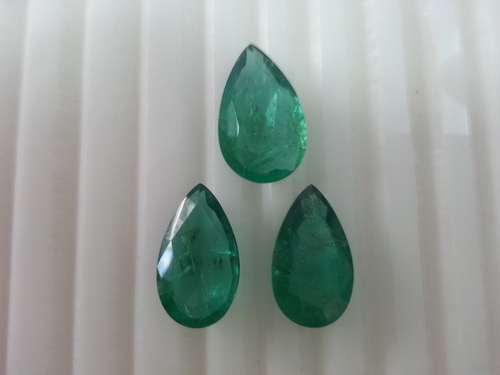 Beryl has a hardness of 7.5–8 on the Mohs scale. 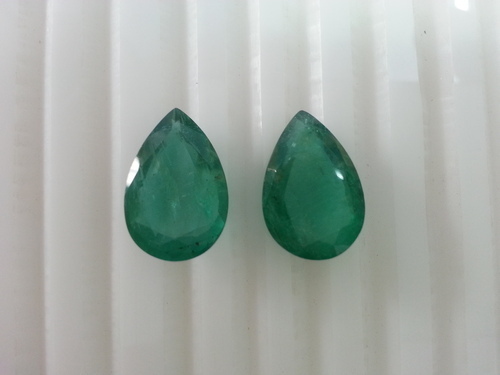 Most emeralds are highly included, so their toughness (resistance to breakage) is classified as generally poor. 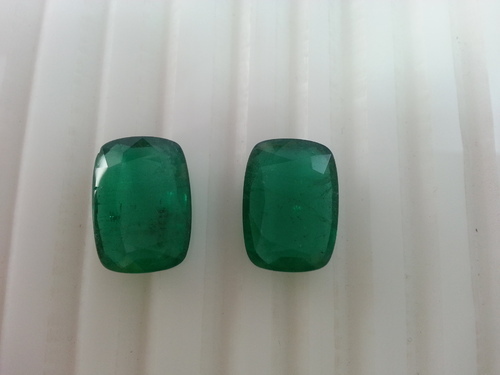 Emeralds, like all colored gemstones, are graded using four basic parameters–the four Cs of Connoisseurship: Color, Cut, Clarity and Carat weight. 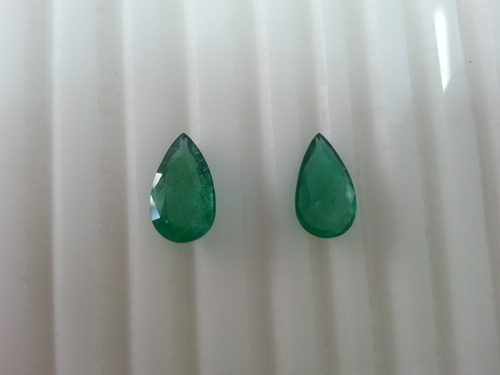 Before the 20th century, jewelers used the term water, as in "a gem of the finest water", to express the combination of two qualities: color and clarity. 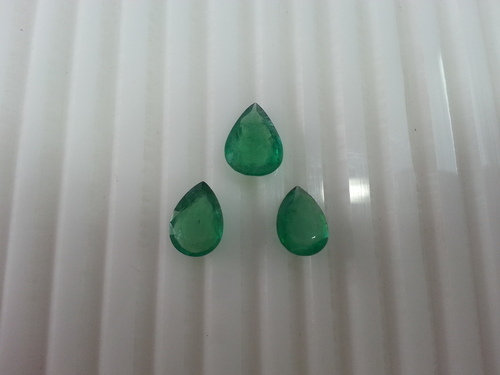 Normally, in the grading of colored gemstones, color is by far the most important criterion. 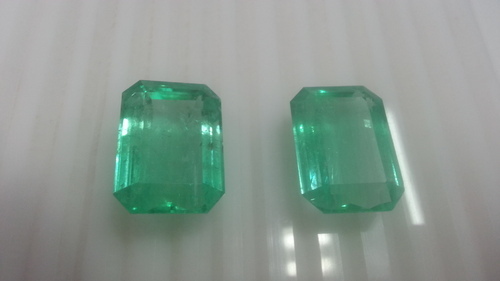 However, in the grading of emeralds, clarity is considered a close second. Both are necessary conditions. 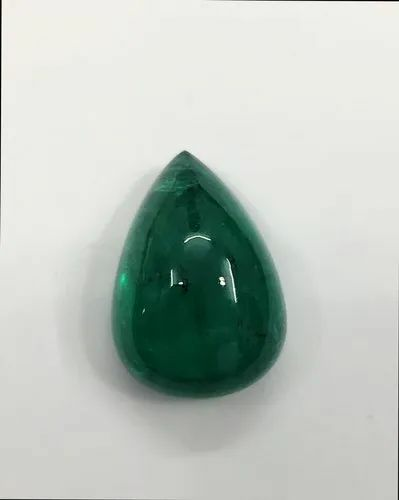 Zambian Emerald pears cabochon with superb lustre and saturated color.